Comm Eye Health Vol. 18 No. 53 2005 pp 69. Published online 01 March 2005. Professor, International Centre for Eye Health, London School of Hygiene and Tropical Medicine, Keppel Street, London WC1E 7HT, UK. One of the most common eye problems to present to health workers is acute red eye(s). 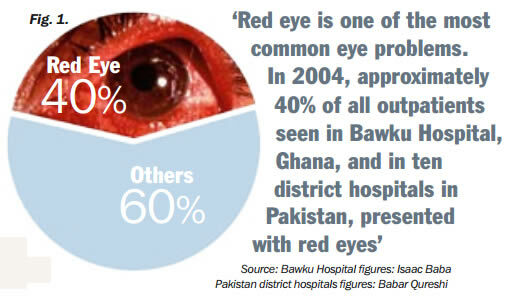 Approximately 40% of all outpatients seen in Bawku, Ghana, and in ten district hospitals in Pakistan, present with red eyes (Figure 1). Secondary centres will be relieved of treating simple conditions, allowing more time and resources for eye conditions that need the attention of specialists. This issue of the Community Eye Health Journal gives an overview of what the primary level health care worker can do for patients presenting with red eye. We have limited this to non-traumatic causes, as eye injuries will be discussed in a separate issue of the journal later this year. 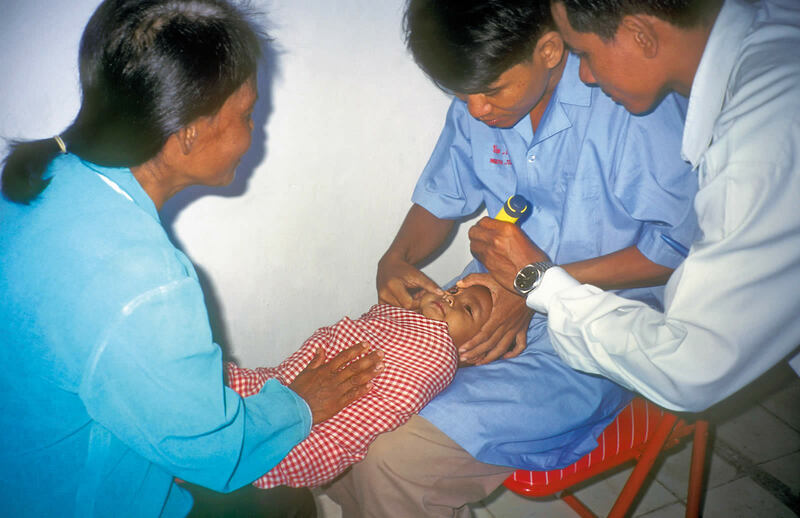 Isaac Baba’s article deals with first aid at the primary level, and Tissa Senaratne and Clare Gilbert provide an overview of conjunctivitis, while Anthony Hall and Bernadetha Shilio give more information about the difficult management of allergic eye disease including practical guidelines on how to recognise and manage vernal keratoconjunctivitis. We also include useful summary diagnostic and management tables and a quiz that can be used for training primary level eye care workers.